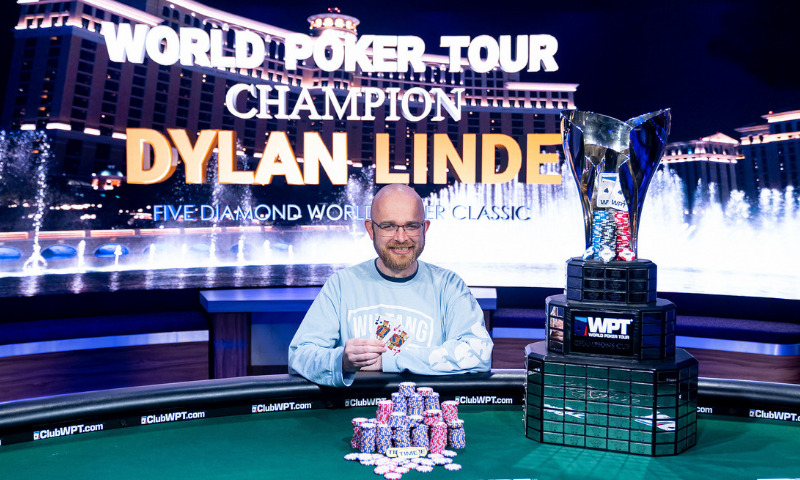 Tags: Dylan Linde, World Poker Tour. After winning the event he said, "Incredible... I'm stunned, I'm stunned. I was in for a lot of bullets in this tournament - I was in for five bullets - and all I wanted to do was get even. I was like, ‘OK, I need to get 24th place and then I make like 8K, that's great.' Then I got to there and it just felt like freerolling. I just was confident, I played my game - I mean, I'm still... I'm still in shock." He explained his multiple $10k bullets fired in this event, "It was like a roller coaster. The first one or two, it was like, ‘Ehhh, OK.' And then when I busted bullet three, I was pretty sad and I kind of tilted. Then when I busted bullet four, I was just like, ‘Ya know? Whatever, this tournament is really good and I need to fire.' At that point, I've already passed my pain threshold so now it doesn't matter. I just try and it almost helped me to be in for five." He continued, "Incredible! Besides having played a lot of poker for the past 10 or 11 years, I'm a gargantuan poker fan. I watch every single everything on PokerGO, I watch all broadcasts. Even weird cash games that have been televised, I consume it all. I love poker. To be there, to be here playing in the studio, it's incredible. It's just incredible. I watched the Super High Roller Bowl Cash Game this morning before I came to play." Thanks to this victory, Linde's name is added to WPT's record books alongside players like Daniel Negreanu, Joe Hachem, Gus Hansen and Antonio Esfandiari as a champion of this event. Linde began the final day of the event second in chips with only six players left, just behind chip leader Milos Skrbic of Serbia. The heads-up battle saw Dylan Linde (22,375,000) versus Milos Skrbic (17,675,000). As the match went on, Linde managed to increase his stack steadily. When the final hand was on, Linde had over a 6-to-1 advantage. The board revealed K-9-9-9-A, which declared Linde the winner for holding a higher full house. Next on the list of the WPT Main Tour is the WPT Gardens Poker Championship with a $10,000 buy-in to be held at the Gardens Casino in Southern California on January 12 to 16, 2019. 12 comments for "2018 WPT Five Diamond World Poker Classic Main Event won by Dylan Linde for $1.6M"
His first ever wpt win with a great prize. Gives him the ability to play in many more tournaments with high buy ins. And this one was not a low one either, with 10k buy in. Well, here's another person who won the poker winner's bracelet .... It’s very good that New people become the winners of big tournaments ..... This means that many have a chance to win .... 1.5 million dollars this is of course a wonderful win. ... it's like he is a professional. He has the opportunity to play at big bets. This Dylan Linde played a lot of poker and watched other poker games. This means he has memorized many positive things and after that he participated in a big tournament and managed to win. Because of this, poker is a game based on skills first and less on luck. If you do not learn, then chances are small with sharks players. Congratulations to this player who managed to become professional after a very careful study and for his prize. Oh wow congrats to all those winners in that event it's the dream to even play in those big live events. Hopefully the winner's use the money wisely. so another player from unidet states that won big tournament and over 1,6 million dollars is great!1001 and player is big number to beat,but buy in is very high for or regular players!you must good bankroll to buy in at this kind of tournament! Many Americans have money and $10 k is easier to win than in other countries. They know how to do it, because it is a country that produces a lot of money. I saw how the Americans play poker, before the Black Friday and they are very talented in this game. They invented this game and it's much easier to learn strategy in english language, or to watch the big players, how they play and you to understand many things. Now it is much easier to learn the game than it used to be. You can find tons of info online. Be it books, videos, articles, etc. 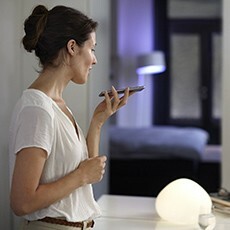 And there are also online translators, if that was the problem.